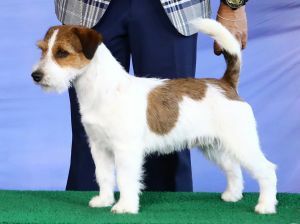 ELVIS JRT DA COROA CELTA - World Pedigree DataBase Jack Russell Terrier, Jack Russell Terrier Pedigree DataBase. Titles: Puppy Brazilian Champion, Junior Brazilian Champion, Brazilian Champion, Brazilian Great Champion, Panamerican Champion, Paraguayan Champion, Uruguayan Champion, Uruguayan Great Champion, Montevideo Winner 2018. BEST JACK RUSSELL IN BRAZIL (2018).